Ramanagaram is now in poll fever as the contestants of the three major political parties geared up their election campaign today. 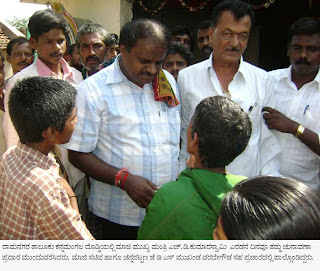 Ex Chief Minister H.D.Kumara Swamy did a whirlwind tour for the second day. More than he asked for votes, he promised the voters to solve their personal problems in two months. 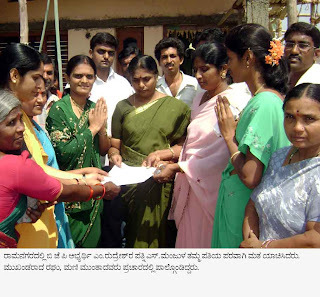 Congress candidate Mamatha Nicchani to campaigned in Ramanagaram town. She was hopeful of her win. She opined that voters greeted her warmly when she visited them seeking votes. B.J.P. 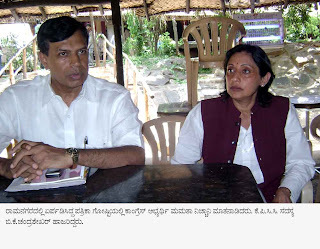 candidate M.Rudresh toured the rural areas, while her wife S.Manjula walked around few extensions inside the town and seeked votes for her husband.